There are hundreds and thousands of tea brewing options out in the world. But why settle for something boring, when you can stay caffeinated while being adorable? 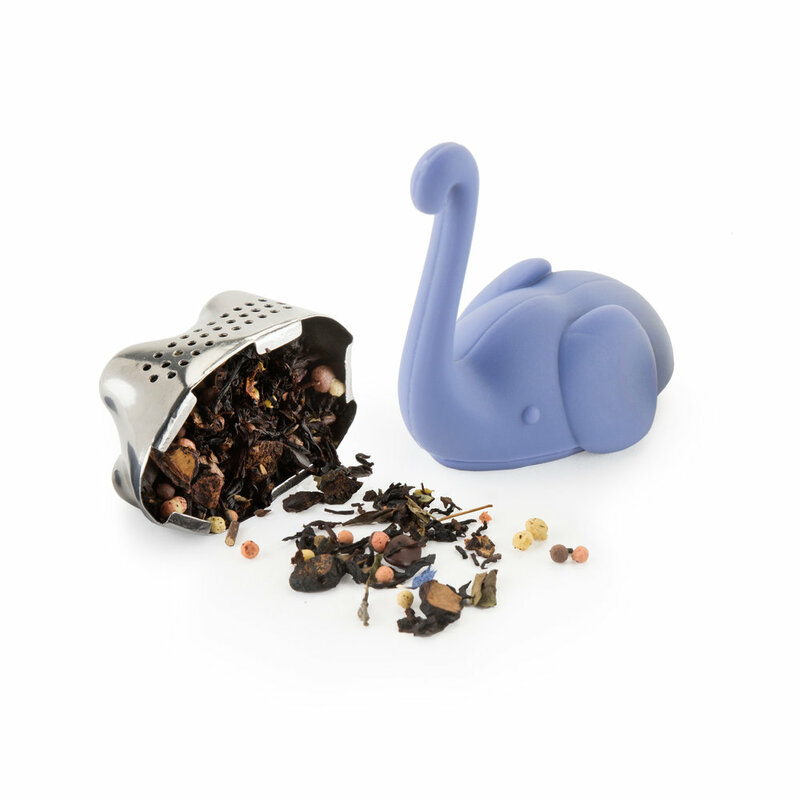 This tea infuser is designed for True Zoo, a fun, eye-catching brand. Products in this brand are often bought as a novelty gift or as an impulse buy. The form and aesthetic are the primary concerns when designing for True Zoo, but it is important that we can differentiate our product in the market. Many novelty tea infusers are made out of plastic, a material consumers are often uncomfortable placing in boiling water. Consider this your new brew buddy. With her stainless steel body, she holds enough loose leaf tea to brew a perfect mug of tea. While her specially designed trunk hangs on the rim of any glass. Suddenly, every other tea infuser is irr-elephant!